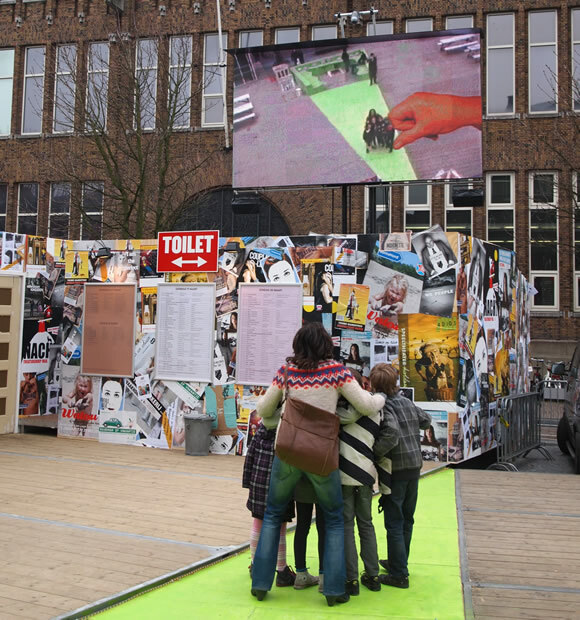 Last week saw the opening of the Tweeakt festival in Utrecht, “Holland’s national theatre festival for youth”. I was invited by Kars Alfrink, the curator of the games section of the festival, to show Hand from Above. The piece was installed on a temporary screen, view some photos here.